For the last six months, the Australian retail sector has spoke of little but the imminent Australian launch of eCommerce behemoth Amazon. While the tech giant has remained tight-lipped on details prior to their launch, and though news outlets were touting them for a soft launch in line with the Thanksgiving holiday in the US to take full advantage of the Black Friday sales, there has been no movement just yet. Undoubtedly the arrival of Amazon will change the landscape for many retailers, whether it’s increased pressure for the high street and bricks and mortar stores to keep up with their online counterparts or the opportunity for retailers to expand their online presence, giving them access to new markets. No doubt we’ll see a significant rush to take advantage of the scaling possibilities that Amazon can offer a small business; with retail revenue accounting for over USD114bn last year for Amazon, there’s clearly incredibly fertile ground in which to grow a business. Whether you’re a Xero-based business looking to get aboard the Amazon platform, or you’re an accountant or bookkeeper looking to prepare yourself for the launch, the Xero ecosystem has a number of app options to help simplify the accounting process with Amazon. A2X (like ourselves, a New Zealand-grown product) is the foremost Xero-Amazon connective app, and already has a number of Australian-based business using the app to sell on Amazon in the USA or Europe. Working with several specialist e-commerce accounting firms in the US (Catching Clouds and The Bottom Line CPA), and AU (Dolman Bateman and White&Black), A2X has positioned itself as the number one accounting plugin for Amazon sellers using Xero. A2X is well suited to high-volume Amazon businesses including those using the Fulfillment By Amazon (FBA) programme, and those selling in multiple countries and currencies, with entry-level subscription tiers accessible to smaller Amazon sellers. Subscription tiers start at $19USD/month and are available for any business size, including bespoke pricing for the very large. Due to the unique way Amazon accounts for transactions, it can be difficult to correctly reconcile Amazon sales and fees to amounts Amazon pays out without the use of specialised apps such as A2X. A2X posts a summary of transactions into Xero from the Amazon Merchant Account, which treats transactions like a ledger. The Merchant Account is summarised every couple of weeks and banked (minus Amazon’s fees/deductions) in what is known as a Settlement Event. A2X then accounts for this event in Xero, pulling in the transactions from Amazon and writing those to the GL, showing up as an invoice in Xero to be reconciled against the Amazon deposit in the bank account. Realistically any business selling on Amazon will benefit from A2X including very small businesses, and accountants or bookkeepers with Amazon sellers as clients will find the ease of reconciliation saves major headaches. Amazon-only vendors that put all their stock into FBA likely won’t need a traditional inventory system, however they may look to use a variety of tools for tasks such as inventory forecasting, managing inbound shipments, etc. Because they tend not to stock their own inventory nor fulfil their own orders, instead using FBA for those operations, an inventory system may not add value to their business. This includes most of the ‘private label’ Amazon sellers (for accounting they would use Xero and A2X). E-commerce vendors that fulfil/dispatch some or all of their own orders, either from their own web stores or from Amazon, will probably need an inventory system, preferably one that can automate the order dispatch for them, and maintain the correct stock levels on the marketplace. Two of the top inventory systems favoured by Scott Scharf at Catching Clouds at present for e-commerce businesses are Cin7 and DEAR. Scott’s recommendation is specifically that they’d turn off any inventory system accounting features that relate to Amazon orders (keeping the order detail out of the ledger), and they’d always use the Xero+A2X combination to account for all Amazon sales and expenses. If you’re keen to get up to speed and want to learn more from the experts, Catching Clouds have launched their Accounting for Amazon ecommerce accounting course appropriate for Amazon Australia sellers and accounting and bookkeeping partners. It provides detailed training on the accounting using A2X and Xero. 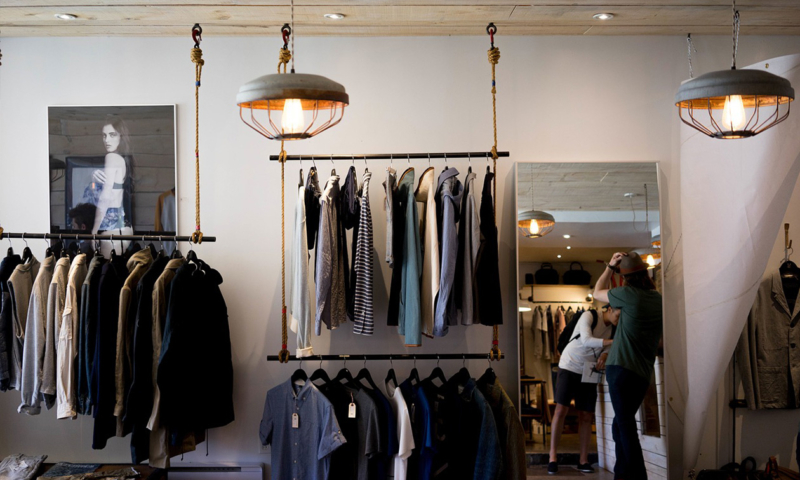 We can’t be certain what the retail industry is going to look like in the coming years as more and more big global players enter the market, but we can make sure that you’re up to speed, ahead of the curve, and never left behind. The post Amazon Australia: Are you ready for the launch? appeared first on Xero Blog.